When it comes to exercising, most people pay a lot of attention at their; chest, triceps, biceps, abs and quads. The forearms are usually neglected in most cases; they are the ones that result to you having a good hand grip. You can do hand grip exercise so as to make your grip firm, for they too are important muscles that need attention. 2 Hand Grip Workouts That You Can Perform to Improve Your Grip. Grip strength is a must when you are doing activities like rock-climbing, shovel snow and while performing pull-ups. When doing bicep curve, deadlift or bench press, the forearms are to grip weights. When going about your daily routine for instance carrying the groceries or lifting things, you will use your hand. Therefore, the need to ensure that you exercise those muscles. When exercising your forearm, your hand grip exercise is an essential workout. Hence, you are able to improve your grip plus ensure that your whole body is fit. It is also important for you to note that hand grip is used to measure the overall fitness of an individual. This is because; people who have good hand grip strength have a tendency of having a good muscular strength. In 2007, a study showed that men who have lesser strength in their grip have a high risk of death due to cardiovascular diseases plus cancer disease. Research by scientists show that poor hand grip strength, indicates a mass loss of muscles and a mass fat increase, which indicates a poor body composition. Performing your hand grip exercises has a lot of benefits other than what you can do to your muscle. Exercising your hand grip is a good way of getting a firm hand grip. This is because they strengthen the wrist, arms plus consequent muscles after some time. Doing the exercises at the fitness center allows you to get your result faster as you’re working with heavy weights. In the event that you are playing sports like the dodge ball or tennis, which require the use of the wrist extensively. You will be in a position to react faster at the shots fired at you. Hence, do I need to say that you will have a better chance of winning because; when your reflexes are fast, they make a big difference of either losing or winning. If you’re involved in mountain climbing or gymnastics, having a good grip is important as it supports your body weight. Not to forget it also engages a selected group of muscles without having to burden your body. Exercising your hand muscles gives you a firm hand grip, which makes it easier for you to carry out your activities. The activities would need you to apply some degree of grip firmness for a period of time. For instance, if you are to carry luggage the whole day, hand grip exercises is suitable for you. This is because; it enables you not to lose your grip on the luggage due to fatigue. When it comes to gripping, it involves the opening and closing of your wrist, this means that the forearm flexors and the forearm extensors will be engaged. When you work on the strength of your hand, it gets strengthened plus masses up the muscle which results to muscular appearance of your arm. 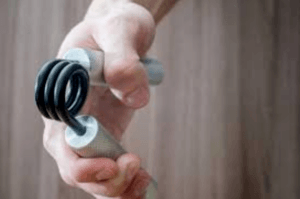 Hand Grip Workouts That You Can Perform to Improve Your Grip. Three squeezes on the right hand and three more squeezes on the other hand. Continue doing the pyramid up to 10 squeezes on each hand. You will have done one set which will have 55 repetitions. Go on and have up to 100 repetitions with 15 squeezes per hand. With the 100, you need to do 100 squeezes in each of your hand. If you want, alternate the hands squeezing one after the other or squeezing the left and right hand at the same time. Either way it does not matter; just ensure that you do 100 repetitions of squeezes without having to pause. This is one of the simplest exercises that you can do so as to strengthen your hand grip. 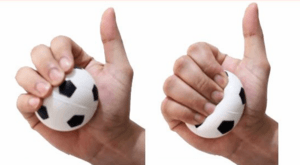 Hold the ball in one of your hands; ensure that the thumb plus fingers are wrapped round the squeeze ball. Holding the ball in front of you squeeze it periodically. With your hand up above the head squeeze the ball, hold then squeeze it for 60 seconds. With your hand at the side repeat the squeezing method for another 60 seconds. Change hands and repeat the procedure on the other hand. When it comes to hand grip exercises, it works on your forearm muscles plus your hand grip of course. Take the dumbbells then hold them at an angle of 900, your arms bending in front. The elbows should be on the side and the shoulders relaxed. This reduces any chance of injury due to uncoordinated movements. The dumbbells are to be away from you, go to an extent that you can but do not put a lot of strain on your wrists. Using slow and measured movements return the dumbbells to their original position. 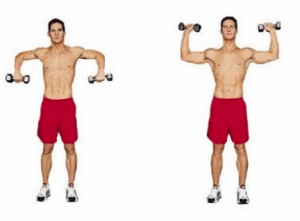 If you want some challenge, rotate the dumbbells to the opposite direction. While gripping the barbell at its lift area, lift it up. Form a 90 degree angle by bending your arms; ensure that they are sideways. Keep your wrist straight as you hold the barbell for about 2 minutes. You may not be able to hold the barbell for 2 minutes the first time you do a static barbell hold. Not to worry you can hold it for a minute and build it up. You can make the routine a bit challenging by holding a barbell which is wrapped in a towel. 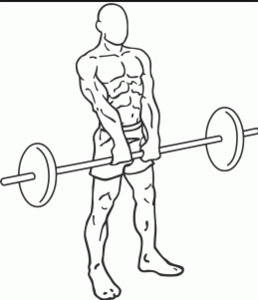 The wrapped barbell strengthens your pinching, this is essential in contact sports for instance wrestling. When it comes to hand grip exercises, it helps you to be able to perfect your agility; you are able to lift bigger objects plus enhancing your life as you continue to grow older. Hand grip exercises are easy to perform and you will be able to make progress with them, the more you are able to do them. Ensure that you build up; when you start to feel that the exercises are getting easy for you to do them.